Girvin & Ferlazzo has had a busy 2019 already, as the firm is representing parties involved in the Oct. 6 Schoharie County limousine crash at Routes 30 and 30A. This accident has made national news because 17 passengers, the limousine driver, and two bystanders in the parking lot were killed. It’s been one of the worst transportation disasters in nearly a decade, and one of the worst in New York state history. The personal injury attorneys at our law firm in Albany have been working on the case for months and have made both local and national headlines. The following news articles detail the Schoharie County limo case and our personal injury attorney’s role in the proceedings. If you’re interested in seeing the type of legal work we do in the realm of personal injury, reading these articles is a great place to start. This Times Union article, updated most recently on Dec. 11, details the events of the crash and Girvin & Ferlazzo’s filings against both the limousine company and state of New York. From The Leader-Herald, this article directly quotes Salvatore Ferlazzo, a personal injury lawyer at Girvin & Ferlazzo. The article also provides more detail about the suit Girvin & Ferlazzo filed on behalf of the family of Amanda R. Rivenburg. This Daily Gazette article also quotes Ferlazzo and focuses on Rivenburg, a victim of the deadly limo crash. According to the article, Rivenburg helped to operate a community opportunities program in Albany that helps individuals living with disability. 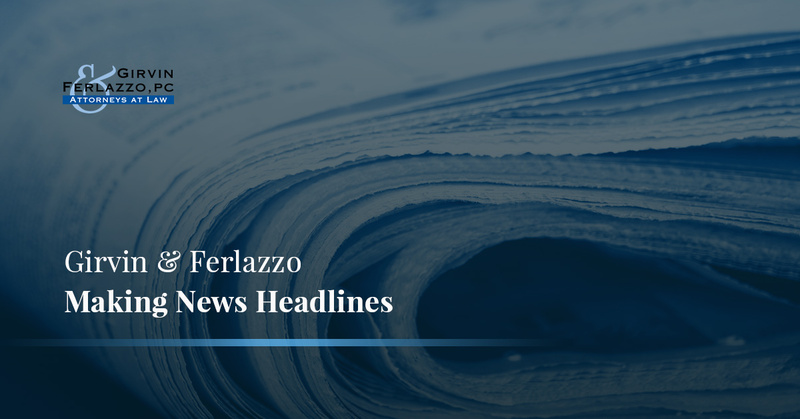 In the article, Ferlazzo and the lawsuit filed by Girvin & Ferlazzo is quoted. In addition to the limo crash making national headlines, the proceeding legal filings have also caught the attention of local publications. The Post Star details the first lawsuit filed on behalf of Rivenburg’s family by our personal injury attorneys. This article also expounds upon Shahed Hussain, the owner of Excursion, Prestige Limousine of Wilton — the company whose vehicle was involved in the deadly accident. Girvin & Ferlazzo filed a lawsuit not only against Excursion, Prestige Limousine, but also against New York state. The lawsuit contends that the state is at fault for not properly fixing the Routes 30 and 30A intersection. This second legal notice adds a layer to the Schoharie Limousine case. Our law firm in Albany has recovered millions for our clients, especially in the realm of personal injury law. If you or a loved one has been involved in an accident, perhaps as the result of negligence or malpractice, our personal injury attorneys can work with you. Contact us today in Albany for a free consultation.